MOSCOW, Idaho – Homecoming tightened in intensity for the Idaho Vandals as they attempted to dig themselves out of a 21-10 third-quarter hole against Louisiana-Lafayette Saturday in the Kibbie Dome. They got as close as making it a one-possession game, but the Ragin’ Cajuns were first lucky enough then made sure Idaho never got the one defining play at the end that could have turned a contest that ended 21-16. On third down with less than 2 minutes to play, Idaho’s Matt Linehan launched a 30-yard strike to the end zone. Alfonso Onunwor leaped and plucked it seemingly from the hands of Levarious Varnado, who was covering him tightly. Onunwor came down with the ball, but it jarred lose when he hit the turf and the pass was ruled incomplete. “I thought he made (the catch). I didn’t see it come out. We needed him to make it,” Idaho coach Paul Petrino said. On fourth down, Linehan threw again, this time to Jacob Sannon, who was open for a first down. But the Cajuns didn’t depend on fortune for the second play. Linebacker Joe Dillon got a hand on Linehan as he threw and twisted him just enough to make the pass go short and off target. Idaho called its three timeouts on successive plays on the next series to try to stop the Ragin’ Cajuns with enough time on the clock to mount a final drive. But the Cajuns force-fed running back Trey Ragas to the Vandals on three straight carries. On third-and-4 at the Cajuns’ 48, Ragas carried three Idaho tacklers 13 yards for a first down near the Vandals’ 39. Louisiana-Lafayette quarterback Andre Nunez took a knee and let the clock run out. Idaho fell to 2-3 with the loss, 1-1 in the Sun Belt Conference. Louisiana improved to 2-3, 1-1. “They feel awful,” Petrino said. “A whole bunch of guys on our team played their hearts out. The Vandals did hold down a Cajuns offense that had been averaging 41 points a game. The 21 points matched a season low, scored in a 45-21 loss to Texas A&M. Ragas, who had been averaging more than 8 yards a carry, was held to 78 yards and a touchdown on 17 carries, a 4.6 average. “The ‘D’ played their butts off. That’s a good offense. They have been putting up a lot of yards and scoring a lot of points,” Petrino said. Idaho sacked Nunez six times and Jordan Davis, who was in for a series, once. Nunez also gave up an interception. In the first half, with the Cajuns leading 14-7, Nunez tried to find Michael Jacquet along the sideline on first down at their 30. Kaden Elliss hit Jacquet and knocked the ball loose. Jalen Hoover, racing over from his safety position in the middle of the field, snatched the ball out of the air. Idaho saw its ensuing drive stall on the 9-yard line and had to settle for Cade Coffey’s field goal. It was one of three he kicked for the Vandals, including a career-long 46-yarder with 2:10 left in the fourth quarter to establish the final score. 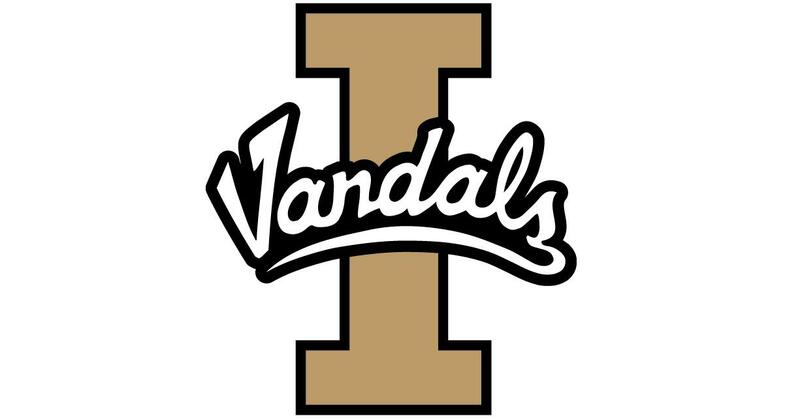 On their second series, the Vandals capped a 38-yard drive highlighted by Linehan splitting two defenders on a fourth down, 9-yard pass to Sannon and Isaiah Saunders taking the ball from the 23 to the 1-yard line on a pair of carries. D.J. Henderson, running as a fullback from an I formation, carried for the touchdown. But the Cajuns weathered that storm and Idaho did little the rest of the first half. Linehan completed 13 of 28 passes for 149 yards for the game, but in the first half he threw for 18 yards and the Vandals trailed 14-10. To open the third quarter, the Cajuns moved from their 25 to the Vandals’ 45 on four plays. Nunez launched a long pass to Ja’Marcus Bradley, who found himself uncovered at the goal line when cornerback Dorian Clark stumbled and fell. Bradley caught the pass and took a step backward to score. Just that quickly, the Vandals found themselves trailing 21-10. Petrino found no fault with Idaho’s effort. He and Lashley both felt Idaho can rebound from the setback. The margin of the loss was galling, but at the same time it was heartening. Published: Oct. 7, 2017, 7:30 p.m.